I'd be lying if I say I've never been to doctor with seasonal Flu complaints. But, ever since I knew the secret of fighting FLU naturally, I'm honest enough here to admit that I'm almost invincible to Flu. 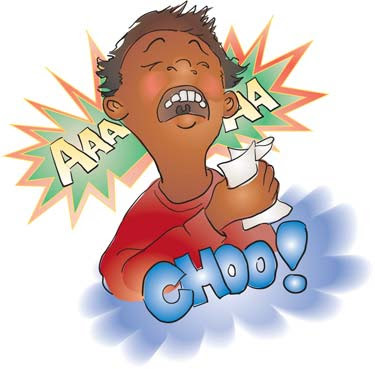 Flu symptoms varies with persons, it can be mild or severe. Some of these are fever,muscle ache,chills,tiredness,dry cough,sore throat,runny nose,nausea,vomiting or in some cases even diarrhea. Flu starts with one of these symptoms and if not cared promptly could become severe leading to bed-rest situation. To my experience, Flu mainly affects your respiratory system. Thereby, it's very important to keep your respiratory tract strong and immune. It also affects your digestion which leads to poor metabolism,nausea and vomiting. Body temperature fluctuates abnormally so, it's a must to take rest with a lot of hot fluid intake. I preferably don't recommend taking in zinc as people in western do a lot. I don't even recommend taking anything made of echinacea once you are infected. Don't do any physical work. Don't wander near another sick people. Do drink a lot of hot fluid. Natural and Killer technique to fight flu in just one day. 1. Peel 3 Garlic clove and chop it nice. 2. Do same with the same sized Ginger nugget. Chop it real nice to pieces as small as possible. 3. Boil 1 litre water. 4. While boiling, put well-chopped garlic and ginger in the water. 5. Put two teaspoon full of cumin(I prefer seed instead of powder) in the boiling water..
6. Add half teaspoon of Turmeric powder in the boiling water. 7. Last but not the least, add salt according to your taste but do add it. 8. Keep it boiling for at least 5 minutes after adding all those ingredients. This should serve 2-3 glass of hot Flu-Killer drinks. Drink this as often as necessary. I drink 3 glasses of this drink in the morning, day and in the evening when I see the symptoms. By next day, I get rid of Flu symptoms. But I don't stop. So, I go for this for at least 2-3 days. I've told this secrets to many of people that I know and I've been thanked many times. But people who are accustomed to antibiotic and modern medicines often ignore these wonder recipes. They consume more and more of these medicines till their body become resistant and later they are introduced to more strong medicines which ultimately do no good but more harm in coming days. Humble request, don't be a lazy and don't ignore it. If weather is acting crazy and you are surrounded by sick people, you can have hot boiled water mixed with honey and lemon. This will keep your immune to strike back against any incoming attacks. These are the wonder treatments passed generation to generation to fight common cold and flu symptoms. In western world, Giloy is known as Tinospora. I found one made by Himalaya Drug selling by name GUDUCHI tablet. This tablet is very potent,bitter and effective. As always, it's best to take these drugs by sucking and melting it inside the mouth instead of swallowing tablet with water. Ayurveda knows that the action of any medicinal substance starts in the tongue. This herbal strengthens your lungs and keeps all evil at bay. If you are reading this, pass it to the relatives who are sick and feed them this concoction. There is nothing wrong helping others and these are all medicinal foods and herbs I'm referring to you which can magically cure Flu symptoms when prepared differently like I've put down here. Try it if you are planning to pay a visit to a doctor. Give it a shot, my western friends. This is one of the things that your doctor don't want you to know. All material on this blog post is provided for your information only and may not be construed as medical advice or instruction. No action or inaction should be taken based solely on the contents of this information; instead, readers should consult appropriate health professionals on any matter relating to their health and well-being. If you have or suspect you may have a health problem, you should consult your health care provider. You assume full responsibility for using the information on this site, and you understand and agree that MeroGuff,is not responsible or liable for any claim, loss, or damage resulting from the information used by you. thanks a lot for this informative post !! hope it works !! You might also add some oregano to your mix to kill viruses. Oregano has been shown to be an extremely effective antiviral. Next time I feel like I'm coming down with something I will definitely add your mix to my daily regimen! Thank you for sharing it! Prabesh, try it, if it doesn't work, yell at me.